For some reason, writing in a new book/journal/notebook/planner/whatever really freaks me out. I guess I'm scared that I'm going to "ruin" the pretty book. What if I mess up & spell something wrong or my writing just looks bad... ha. I don't know why it scares me so much, I mean I'm going to be the only one looking at it... right? But I'm sure I'm not alone. Such a great idea & once you write something on that first page (or in Amy's case, the second), it's just so much easier to continue using your notebook. Do you guys get scared to start a new notebook or journal? I really don't like messing up a new journal or whatnot!! I have the exact same fears as you!! 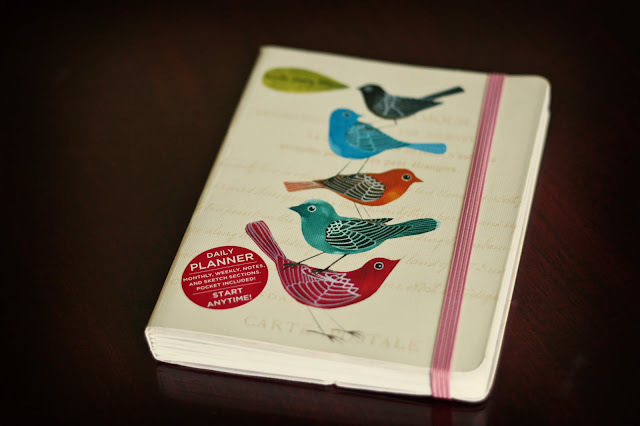 This journal that you have is SO beautiful!!! I love the flowers + butterfly!! Where did your mom get it from?? I'm HOPING that once May 1st comes around (Can't believe it's almost MAY!!) I won't be so scared to start... haha. My fingers are crossed! My Mom bought this book at Chapters (it's similar to Barnes & Noble/Borders). I left the book at home (I'm at De & Tim's right now) but I'll check out what the brand is later! i think i'm the opposite, i am obsessed with starting a new one. haha, well not really but i do have a notebook fetish. i am so specific about what kind of book i want and for what. they front has to be perfect, as does the size and the inside! i also feel like i need to finish one before i start a new one! the one is SO cute. you can do it girly :) hehehe. i love the layout of yours and the sheepppp - omg. Haha I wish I was that way with notebooks! I have sooo many blank ones laying around! But when I see a pretty one I can't help but buy it. Well, not always, but I always want it, ha! Can't wait to me you either!! AHH! So puuuuumped!!! I love starting a new one...but I totally know what you mean about wanting it to kind of be perfect and not make any spelling errors and such...writing neatly, etc but that all goes out the window when you're using it to jot something down really quickly. PS: Ditto what Julie said...excited to meet you! Though I feel like I already have! Haha totally. The few that I HAVE started got messy pretty soon, ha! But I'm the only one looking at it so it doesn't really matter... right? Ha I think that's why I never started that Sketchbook Project or whatever it was called... it scared me too much, ha. Man it's coming up so sooooon!! AHHH!! I can't waitttttt! Haha. It's going to be so much fun! I feel the same about notebooks! My boss got me a Facebook notebook from the FB office and I have not written anything on it. Haha it's just so hard when you want to keep it nice & perfect! Oooh, where did she find that? It's so cute! I love it. She bought it at Chapters (a bookstore in Canada similar to Barnes & Noble), but I'll find out the brand for ya! oh my gosh!! yess!! This is totally me! I am so freaked out by all the blank pages and worried i'll ruin it with ugly hand writing or mis spellings (I fixed that with eraseable pens- that actually erase fully, not like the cheap crappy ones from middle school). I have so many journals that are just collecting dust because I've been too afraid to use them... I completely sympathize! 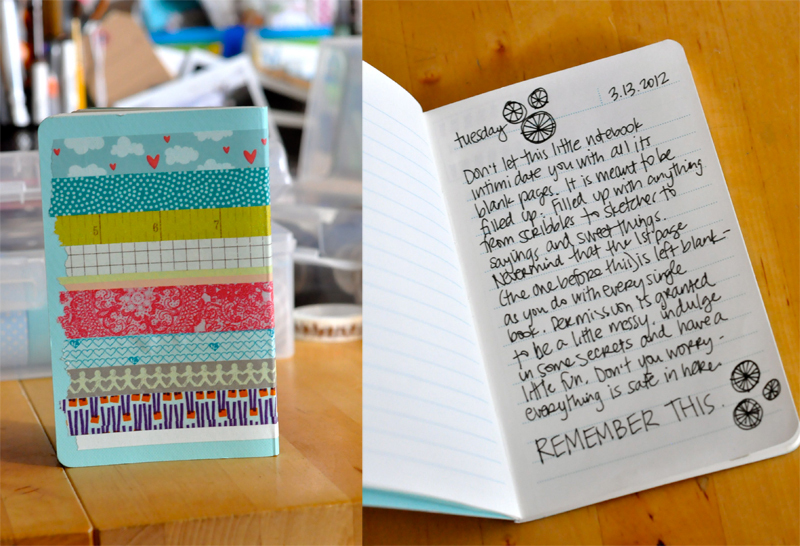 But this is a great idea, i do need to keep a seperate journal/planner for my blog! Thanks for the great idea! Oooh they have erasable that are better than those ones back from grade 5?! Whaaaaat?! Haha I have got to find some of those! AWESOME! 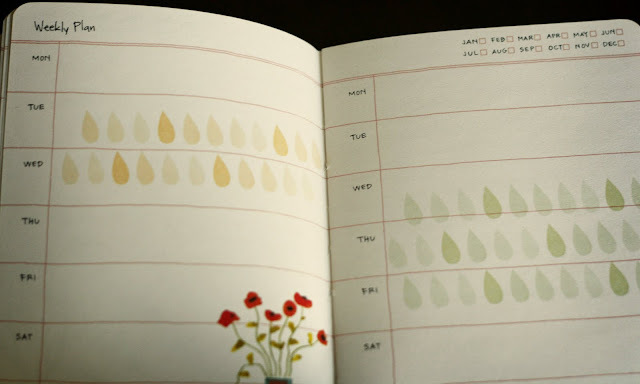 That's the thing I loved about this planner, I don't have to wait until January to start! & I loooove the sheep! Haha. 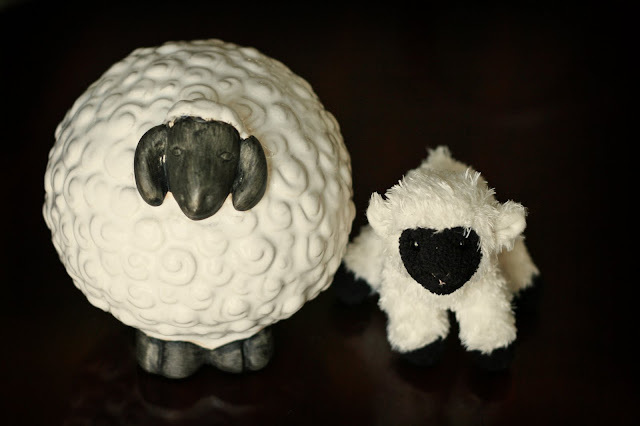 My Mom is always buying me new sheep items! Thanks so much for the compliments about my blog!! I really appreciate it! I do the same thing! I always start on the second on third page. 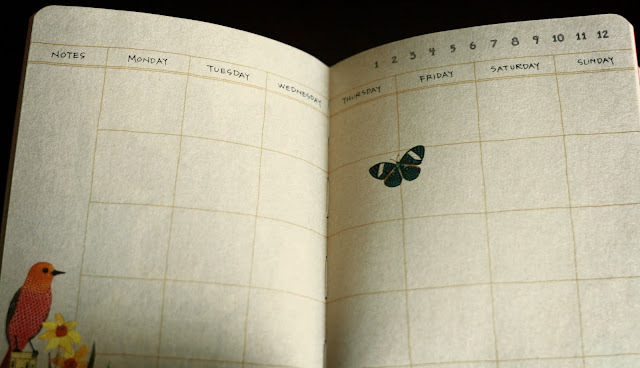 I love that planner, I'd love to know the brand if you get a chance!